The House of Marley makes great-sounding and durable audio equipment, but what really stands out is the focus on earth-friendly designs in the tradition of Bob Marley, with a distinctive look based on natural wood, organic fabrics and recyclable metals. 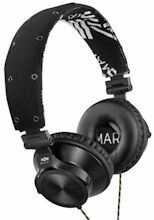 The Marley line includes on-ear headphones and in-ear earphones for personal audio, home and portable speakers for sharing the music, plus a variety of functional carry bags. The audio products are organized into multiple lines, with the colorful and vibrant Jammin’ collection and the higher-end Freedom collection. For example, the basic Smile Jamaica earphones are built with sapele and beech wood and recyclable aluminum, and deliver strong sound with an 8-mm driver. These start at $29.99, and come in a range of bright colors -- yellow, red, pink, and turquoise. In comparison, the higher-end Zion earphones pump up the sound with 9mm moving coil drivers, and come with a three-button Apple remote (for volume) and mic. The Zion design combines sapele and maple woods. They are available for $99 in understated silver and black. Both feature a 52" fabric cord that reduces tangles, with a gold-plated connector set at a right angle for a low profile. The line of earphones from The House of Marley shows the Marley emphasis on distinctive and earth-friendly design (see previous post). Then the Marley headphone line provides a larger canvas for this theme, including lightweight padded headbands made from natural canvas, soft leather ear cushions to isolate outside sounds, plus recyclable aluminum housing accents and stainless steel. 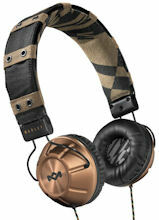 For example, the basic Rebel headphones for $69.99 feature 40mm moving coiled drivers in the metallic earpieces. The canvas headband has grommets along the outer edges, and comes in dubwise (white), midnight (black), and colorful rasta styles, with catchy designs on the underside and even in the earcups. 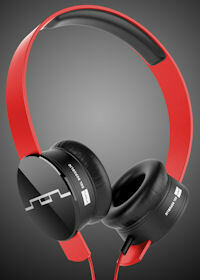 And the similar Revolution headphones start at $89.99, or add a three-button Apple controller for $99.99. These bring strong styles to the headband and earcups, with midnight (black) and especially the revolution (camo) design. The earcups also fold for easier travel. For other distinctive looks, check out the Exodus model with recycled wood headband ($149.99) and Stir It Up model with beech wood and tanned leather earcups ($199.99). 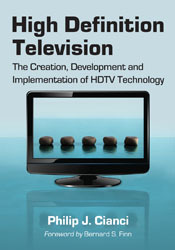 See also my summer update on gadgets -- Portable Accessories - Mid 2012 -- for more on Portable Video, Audio, Photo, Power, and Cases. Headphones have evolved into a very interesting category for this holiday season. The technology is great (see earlier post) -- so the sound more and more becomes a matter of personal preference. But even more, the design options have proliferated (see earlier post) -- offering more variety to fit your personal style. And some companies are going further, with configurable designs that let you more fully customize your own look. The new SOL Republic Tracks headphones take this approach up to 11 -- with separate interchangeable headbands, pairs of ear speakers, and cables, available in a variety of colors to mix and match. You start with the FlexTech headbands, available in an array of colors: red, white, black, purple, grey, blue, orange, and pink. These have a very clean look -- a simple polymer curve with a soft cushion in the top. They're strong enough to hold securely on your ears, but also highly flexible and even bend and twist, so you don't have to worry about damaging them. The headbands are available individually for $29.99. Then add the Sound Engine ear speakers, which slide onto the ends of the headband so you can adjust them to fit your ears. SOL Republic offers two options for the speakers: the V8 model in black for $69.99, with "deep bass and high clarity," or step up to the V10 model in chrome for $89.99, with "deeper bass, higher vocal clarity, and crisp vocals." Finally, plug in your choice of ClearTalk cables to match (or compliment) the headband. These are available in the same eight colors for $19.99, including a mic and single-button controller. Since you probably want all three components together, you can buy a complete Tracks headset with V8 speaker for $99.99, or the Tracks HD with V10 speaker for $129.99. These include a three-button remote. With the component design, you even can remove the speakers and use them independently as portable speakers. So pick your color -- or colors -- and speaker styles, and enjoy the music your way. See also my summer update on gadgets -- Portable Accessories - Mid 2012 -- for more on portable devices and accessories. Entries posted to Manifest Tech Blog in August 2012, listed from oldest to newest.